American Outrage TV reporter, Jake Carlson is the best at what he does. Maybe that’s why his adopted son, Sam has asked him to locate his real mother. Jake would do anything for his son, so he agrees. Jake starts digging around to find out what he can about Sam’s biological mother. 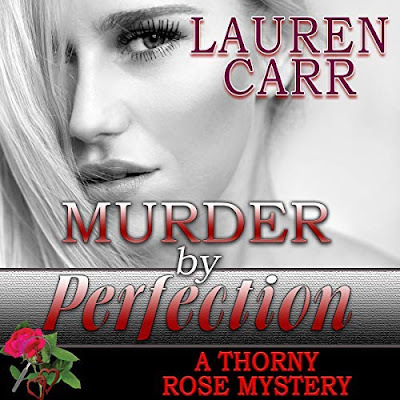 What Jake soon discovers is an illegal adoption ring that involves a dirty politician. Now everyone Jake holds near and dear to him is in danger including himself. Jake is the type of guy you want fighting on your side. He stands for everything that is right, no matter how terrible the times get. American Outrage is a high-intensity, thrill ride a minute. The story moves so fast that you will find yourself lost in the moment. 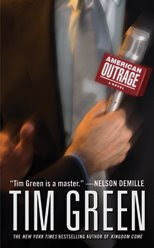 American Outrage is the first book I have read by Tim Green and it won’t be the last. All I can wonder is where was Mr. Green when I was in my reading slump? Well now that I have read what Mr. Green has to offer, I plan on checking out all of his other works including his next novel, Above the Law. this sounds different, and interesting! I love to get recommendations on good books! Thanks.